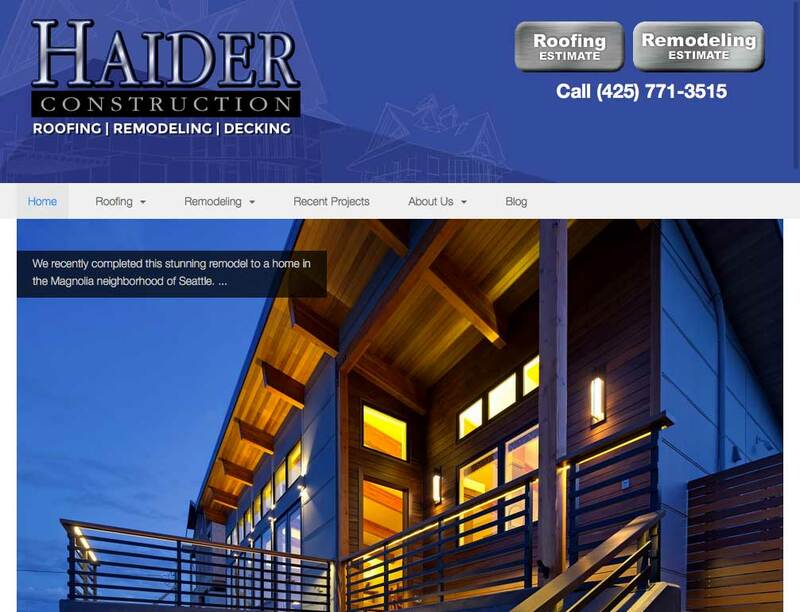 The folks at Haider Construction in Mountlake Terrace do wonderful remodels and roofing work in the greater Puget Sound region. They do quite a lot of radio advertising and wanted their site to look good when radio listeners gave them a look. Working with their designer we upgraded their website with a new, custom responsive WordPress theme. that it works as well on tablets and phones as laptops and desktops). Haider Construction is one of our oldest maintenance clients too.